The brave testimony of 13-year-old Christian girl Nesma Wael who lost her mother on that tragic day. 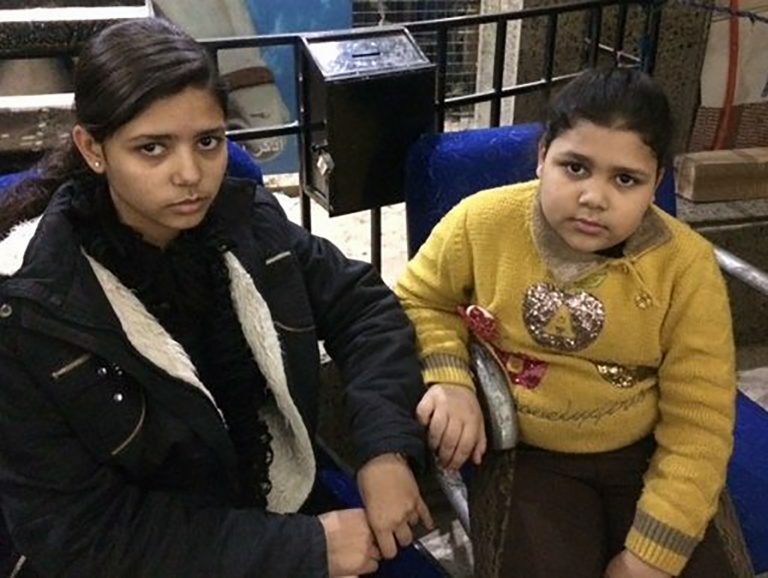 Hopeful: 13 year-old Nesma Wael (left) and her younger sister Karen. “As we turned into a side street, we saw someone on a motorcycle heading towards the church. The next thing we knew, the man crashed his bike after hitting a hole in the road. My mother ran up to help him and she said: “In the name of the Jesus Christ, are you okay?” He got up quickly and opened fire on us with a machine gun which he pulled from under his vest. “As soon as my cousin and I saw the weapon, we hid behind my mother, who shouted at us to run. The gunman then shot her in the arm while she was trying to protect us. She fell down and couldn’t escape with us. The gunman was only a few feet away. My cousin and I ran into a small supermarket, where the shop assistant hid us behind the fridge. As we hid, we could see the gunman looking for us. When he couldn’t find us he turned to my mother again and fired more shots at her.